Home » Uncategorized » What is going on? Baby Hospital Update. Watch the Meet the Millers, daily family vlog, (Derek, Bre, Brielle, Boden, Ember, Cosy and Baby Jensen) as we go about our day! Baby Jensen is unexpectedly back in the hospital. Here is a quick baby update to let you know what is going on. OTHER VIDEOS FROM MEET THE MILLERS YOU MAY LIKE! We are a fun, daily vlogging channel, no swearing or violence. Poor baby!! His monkey is so cute! Hope he feels better soon! Prayers your way!!??? Poor baby just can’t catch a break. Breaks my heart that he has to go through this. I couldn’t imagine being in your shoes, seeing your sweet little baby go through that. Sending love and prayers for hope and healing ? Im going to pray for him to make a full recovery get better baby j. Here is a quick update about the baby. The vlogs will back track slightly while we catch up on footage then we will share all the details. It has been a rollercoaster. Thank you everyone for the love, support and positivity. ? J house vlogs sent me to you i feel so bad everybody pray for the Miller’s hope he gets better ??????????????? Don’t worry about vlogging when you have so many more important things to do. We will be here when you can get back to it, and in the meantime I’m sending you my prayers and strength. xox Heather?? prayers going out to your beautiful baby boy and the whole family, my youngest daughter was born with a very rare chromosome deletion which led us to procedure after procedure for her first 3 years we literally lived at Rady’s children’s hospital she is not out of the woods just yet but is 6 years old and doing well! Stay positive and have faith that this too shall pass! So sorry baby Jensen and you guys are going through this. Praying for total healing. OMG!! We are praying for you all from KY!!. My grandsom was just released from the PED. ICU for the same thing and ir aggrivated his asthma. He was in bad shape. I will be thinking of you all the time until he is home. We love you baby Jensen!!! It’s heart wrenching. You guys have a little fighter in Jensen. Sending love and well wishes to you all. Wow. I am praying for all of you! TEF babies can turn on you in a matter of seconds and it is so scary. 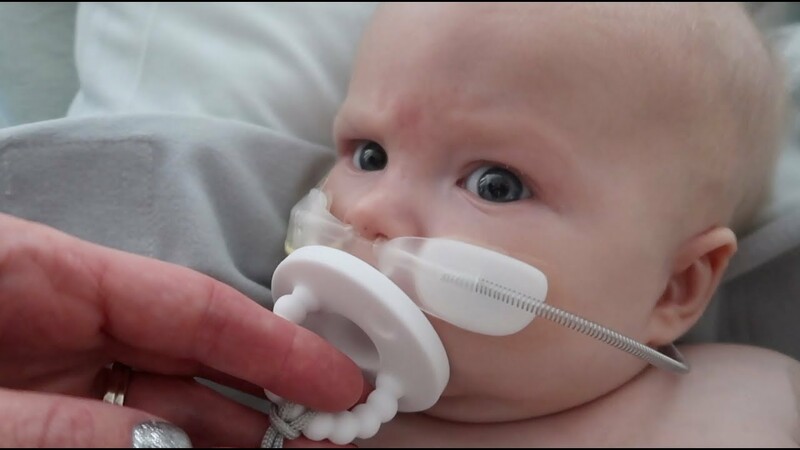 My TEF baby was transferred on a ventilator by helicopter. God is in control and I am so glad they got the surgery done so quickly. His little expressive face makes it seem like he knows exactly what’s going on and he’s not happy about it! What an angel. Sending love to you guys and Jensen during this difficult time ? Oh wow! How scary is that! My grand son had RSV too at 6 weeks so l can relate to how scary this is! l am praying for you , l saw where April and Jordan brought you some things at the hospital for you! Hang in there and know that so many are praying for you all! WHO CAME HERE BECAUSE OF J HOUSE??? I came here from JHouse,Sending prayers.